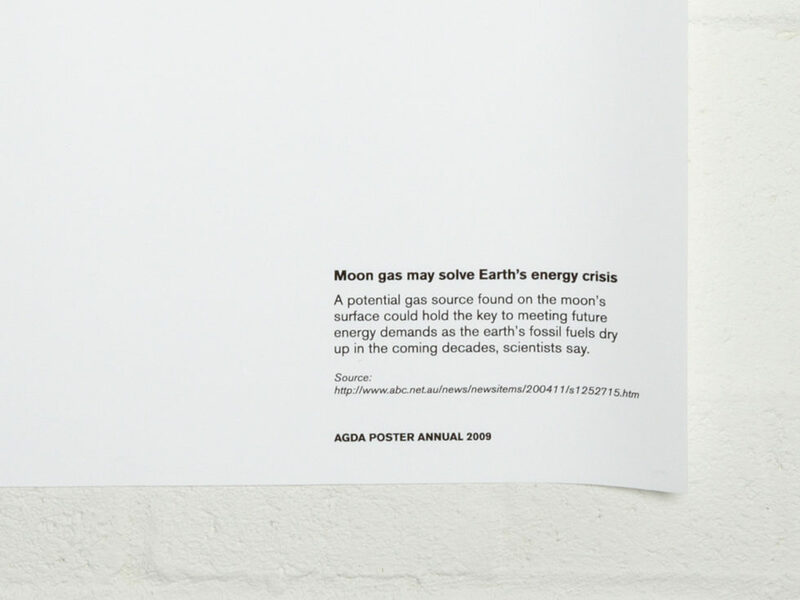 Part of the AGDA Poster Annual 2009 in response to the theme ‘Sampling the Future’. 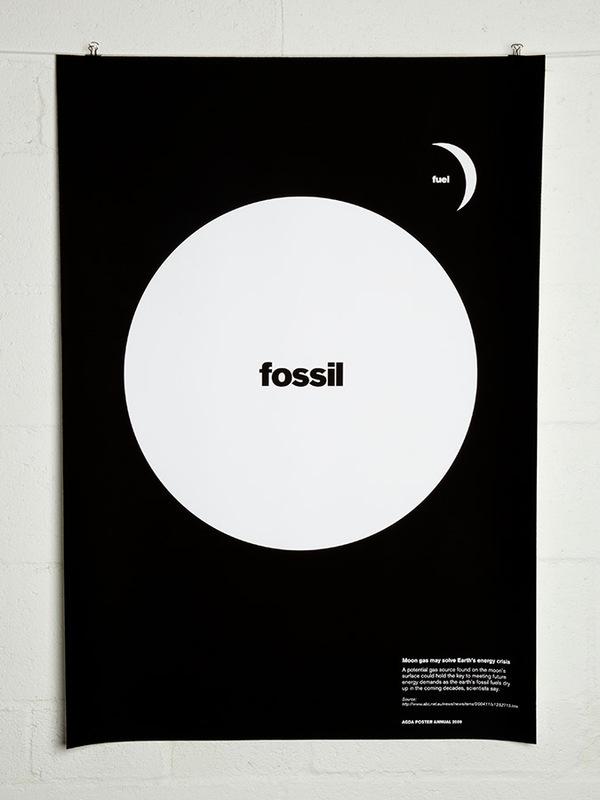 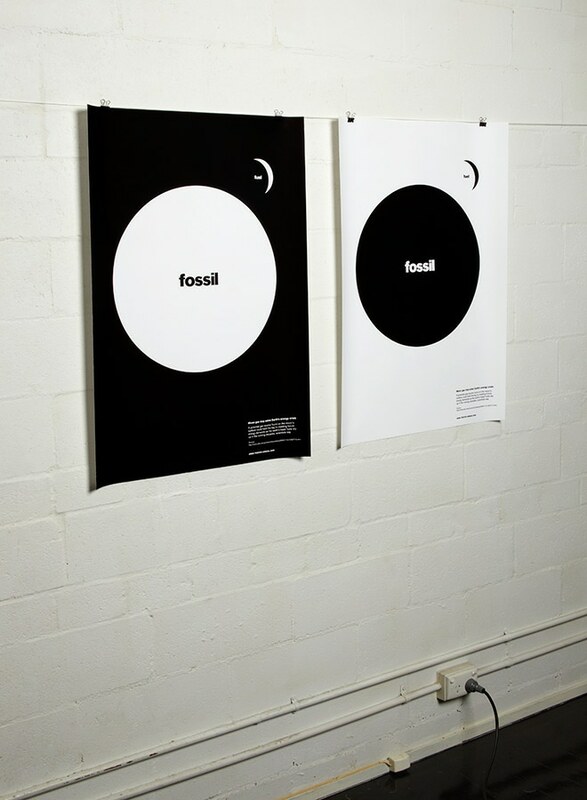 These posters are a graphic interpretation of the confronting idea of extracting energy-supplying gases from Earth’s moon to meet our energy demands of the future. 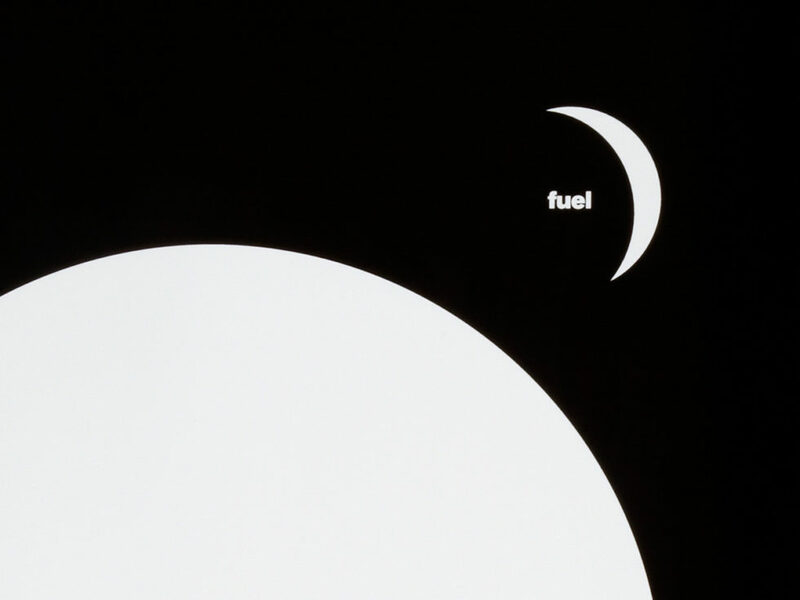 Here a new scenario is suggested; that when Earth itself becomes a ‘fossil’ due to energy depletion, our moon could potentially be our source of fuel. 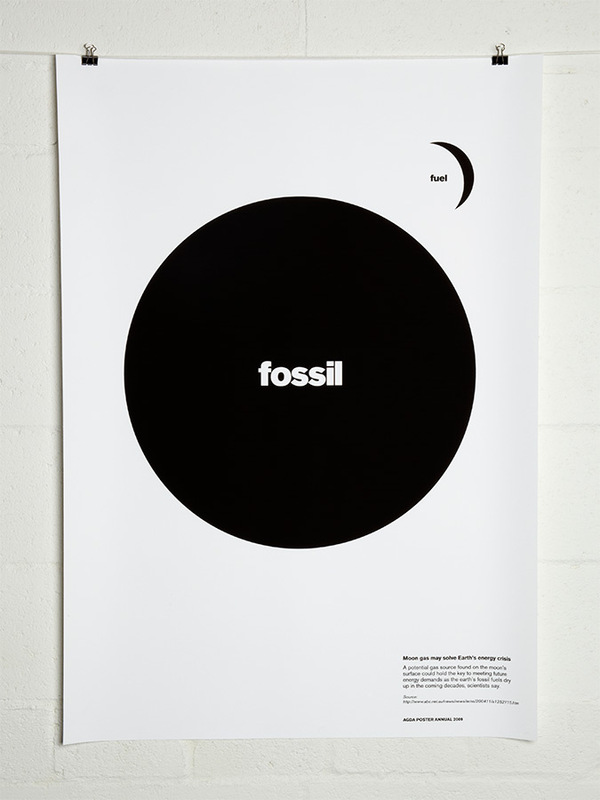 Positive and negative versions were created to represent polar opposite points of view.